King Mohammed VI is a direct descendant of the Prophet Muhammad (PBUH) and his family has ruled Morocco for close to 400 years. He is also constitutionally the Amir al-Mu’minin, or Commander of the Faithful, thereby combining religious and political authority. King Mohammed VI is lauded for his domestic reform policies and pioneering efforts in modernizing Morocco and countering terrorism. He tackles issues of poverty, vulnerability and social exclusion at home, and has improved foreign relations. 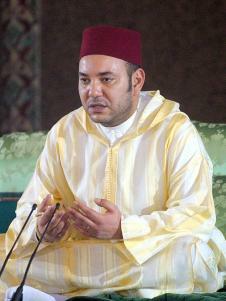 King Mohammed VI influences the network of Muslims following the Maliki school of Islamic jurisprudence, and is a leading monarch in Africa. Four-Hundred Year Alaouite Dynasty: The 400 year-old Alaouite dynasty traces its lineage back to the Prophet Muhammad (PBUH). It takes its name from Moulay Ali Cherif, who became Prince of Tafilalt in 1631. It sees itself as a continuation of the Andalusian Golden Age of Islam, which was characterised by peaceful co-existence, intellectual and cultural exchange and development. Influence on Maliki Network: Morocco is home to the oldest university in the world, Al- Karaouine. This university is the centre of the Maliki school of jurisprudence. Since early in his reign, King Mohammed VI has implemented the Mudawana family law code that gives rights to women in divorce and property ownership, as well as citizenship to children born from non-Moroccan fathers. He has also commissioned the Islamic Affairs Ministry to train women preachers, or Morchidat, who are now active chaplains to Moroccans across the globe. Huge Influence over Muslims in Africa: King Mohammed VI leads the largest African monarchy, with a population of 32 million. Besides political links, Morocco maintains strong spiritual ties with Muslims all over Africa. Morocco is the site of the tomb of a highly revered Sufi sheikh, Mawlana Ahmed ibn Mohammed Tijani al-Hassani-Maghribi (1735-1815 CE), the founder of the Tijaniyya Sufi order, whose shrine attracts millions from across the continent. Morocco is also recognized as a source for the spread of Islam through West Africa. Support for Jerusalem (Al-Quds): The King and indeed all Moroccans show strong support for Palestinians and for Jerusalem. The Moroccan link with Jerusalem has been strong since Salah al-Din’s son endowed the Magharbeh Quarter, next to the Buraq Wall, to North African pilgrims in 1193. This 800 year old quarter was demolished by the Israeli authorities in 1967 after they captured East Jerusalem. Reform: King Mohammed VI has implemented major reforms in response to the Arab Spring protests. These have included a new constitution which has transferred many powers to a freely and fairly elected government. The gradual reforms of the King have been hailed as a model for other Arab countries to follow. The Marrakesh Declaration: The King invited hundreds of the Islamic world’s leading scholars to gather for a 3-day summit in Marrakesh in January 2016 to address the question of the treatment of religious minorities in Muslim-majority communities. Basing themselves on the Charter of Medina, also known as the Constitution of Medina, which was drawn up by the Prophet Muhammad (PBUH) himself, they issued calls for majority-Muslim communities to respect minorities’ “freedom of movement, property ownership, mutual solidarity and defence.”. HM King Mohammed VI of Morocco delivered the inaugural address and pointed to the history of Islam’s co-existence with other religions. This showed how Islam has enshrined the rights of religious minorities, and promoted religious tolerance and diversity.